The visit was organised within the project “Innovative and practice-based teacher education and mentors’ professional development”, which is supported by European Social Fund. The project is coordinated by the Faculty of Pedagogy, Psychology and Arts of the University of Latvia, while Daugavpils University and Liepaja University are the project partners. The research visit was aimed at inquiring into the best practice in the fields of teacher training and mentoring activity, integration of the experience gained from these best practice examples into graduate and continuing education programmes and enhancement of project publicity and the sustainability of innovation. 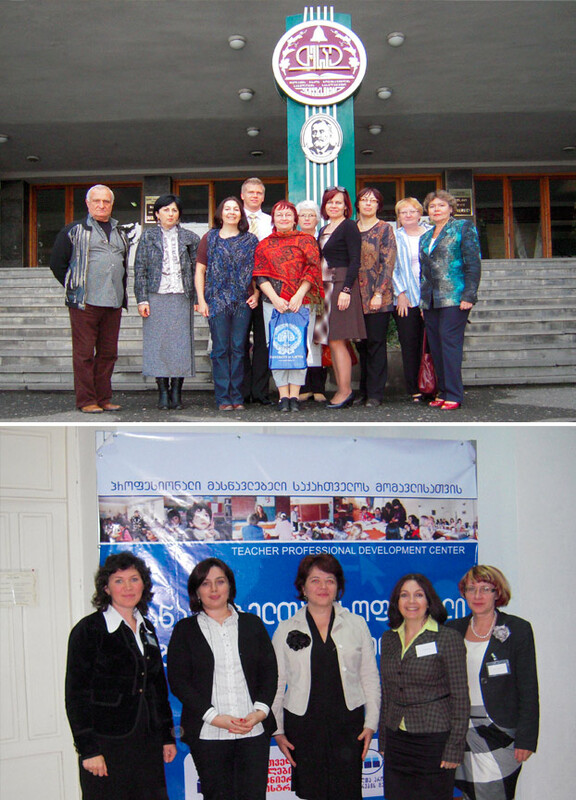 Opportunity was taken to visit various educational institutions in Georgia: Teachers’ Professional Development Centre of the Ministry of Education and Science, Ilia University, Javakhishvili Tbilisi State University, Telavi State University, Kutaisi State University, Gori University, Caucasus Academic Centre, organisation “School, Family, Society”, Centre for Civil Integration and Inter-Ethnic Relations. Another research visit will take place in November when project participants are going to inquire into the experience of their Estonian colleagues in teacher education. The chief aim of the project is to promote the development of general education teachers’ competences by designing and implementing an innovative and flexible teacher education programme as well as by developing and strengthening mentoring activity as a form of teacher training and professional development. Professional development programme of 72 module-type lessons for implementing teachers’ mentoring activity to increase the effectiveness of pre-service teachers’ pedagogical practice and foster successful integration of novice teachers in the school environment.